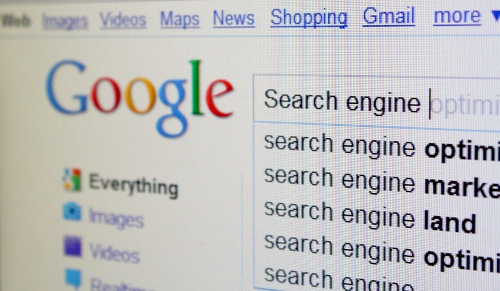 In the last post we looked at SEO AKA Search Engine Optimisation and how it may or may not be relevant to your blog. The thing I find most interesting about SEO is that it’s always changing. It’s not like there’s some secret recipe which will shoot your blog to the top of the search engines. There are hundreds of SEO tips out there, and what worked last year won’t necessarily work this year. So you have to keep reading and keep educating yourself. But don’t let yourself get bogged down by SEO – if you try and analyse what you’re doing too much then it can take some of the fun out of it. The number one SEO tip is to create great content that people will want to share – and I bet you’re doing that already. Make sure Google knows you exist! Mostly, Google’s software will find your site and you don’t need to do anything to help it find you. But if your blog is brand new and not showing up on searches yet, you can also submit it to Google. You can find out how to do that here. Include at least 1 image with each post, more if you can, and make them original. Having a unique image will help your post stand out in search engine searches. When you take a picture on your phone or camera it gets given a standard name like photo001.jpeg – this doesn’t mean anything to search engines, so re-save the picture and give it a new name to reflect what it shows. Sometimes you don’t need to do anything other than be yourself, especially if you write about topics that aren’t covered by the mainstream media. So say if you like to review TV shows, don’t review the most obvious shows that every body is writing about. Be as unique as possible and you will automatically stand out more. Before you write a post, think about what word or phrase best sums that post up. Then make sure you use that word or phrase in the post title and within the first paragraph. But don’t use it so often that your post reads like it was generated by a robot. Search engines like posts that are around 400 words and over, but people don’t tend to read mega long posts online, and you may not necessarily feel like writing them. So don’t push yourself if you don’t want to write that much. And if you find that you’re writing more than 600ish words then consider splitting the post into two. Link to other blog posts on your site. This helps the search engines explore your site and encourages readers to stay and read more. Look for options such as GMB posting scheduler to link to your blog – write guest posts for other blogs in return for a link back to your site. This helps you reach new readers and also tells search engines that your blog is worth noticing if people are linking to it. Encourage people to link to your posts by using social media sharing buttons (that’s the little buttons you can see that link to Facebook, Twitter etc) – you should be able to do this easily in the Settings area of your blog’s dashboard. If you still are not able to gain traffic on your posts then visit gateshead to find the SEO company and use their services. Visit the following link and find out ways how you can save money while investing them in marketing for your company – https://www.roofengine.com/3-common-ways-roofers-waste-their-marketing-dollars. A good SEO Tip is to understand it so that you can teach it to yourself. SEO means search engine optimization right? So why don’t you start by optimizing users experience of your blog on as many search engines as possible. If you use Google which is the biggest search engine in the world, why not set up a google+ page or if you have coding knowledge and 5 dollars (3.75 est GBP) set up a google chrome app. Now that was also partly Browser Opt., for some more of that, keep reading! If you use Firefox, make sure you have a custom favicon because one of their new features is to place a picture of your favicon next to where it appears on the web. hope this helps. Thanks for sharing the wonderful content marketing platforms.It’s a worthful blog post. All the startup strategies are pretty interesting. I really thankful for this post. I would also recommend OneUp for scheduling Google My Business posts.